A must have cup for coffee lovers with a secure screw on lid. Promoting your company with an eco-safe product such as this coffee cup is a fantastic prospect! 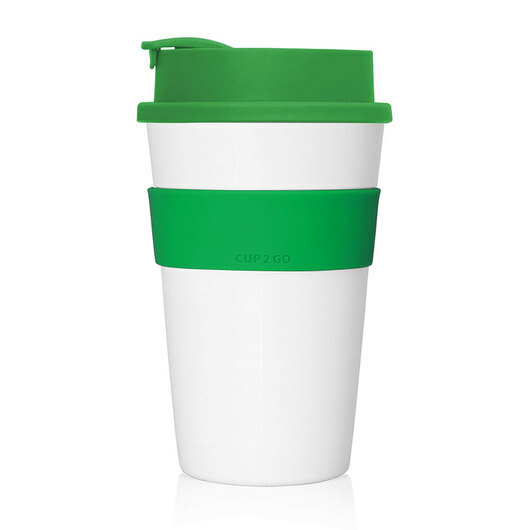 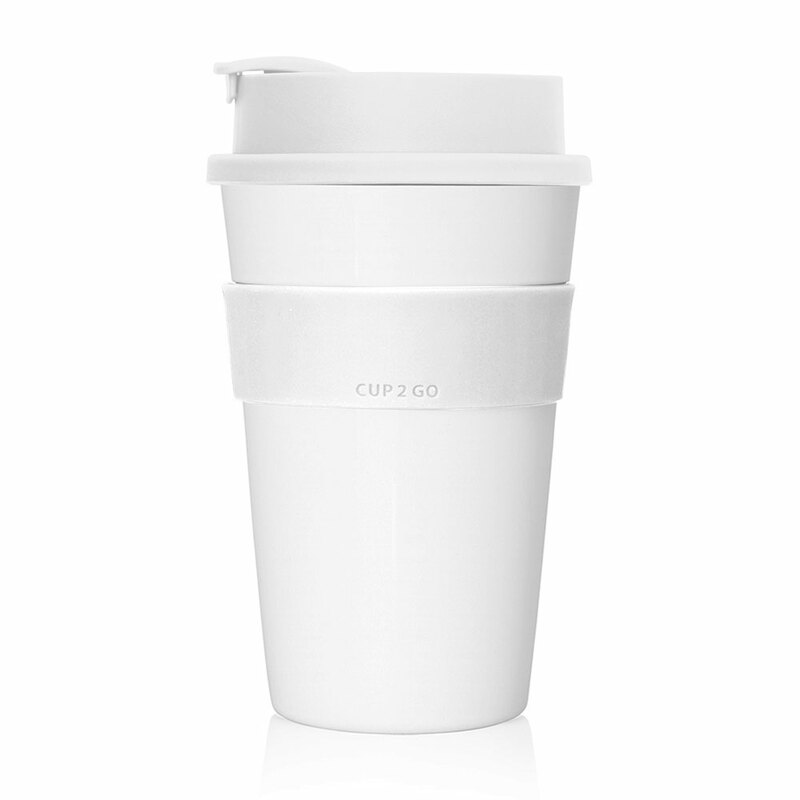 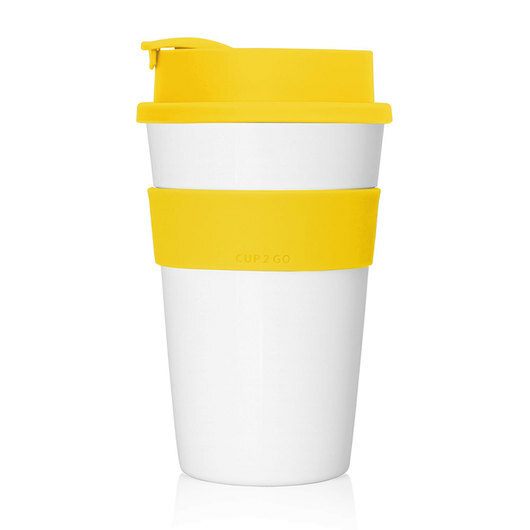 The Cup 2 Go Grande features a screw on top lid and smooth silicone grip for easy transport. 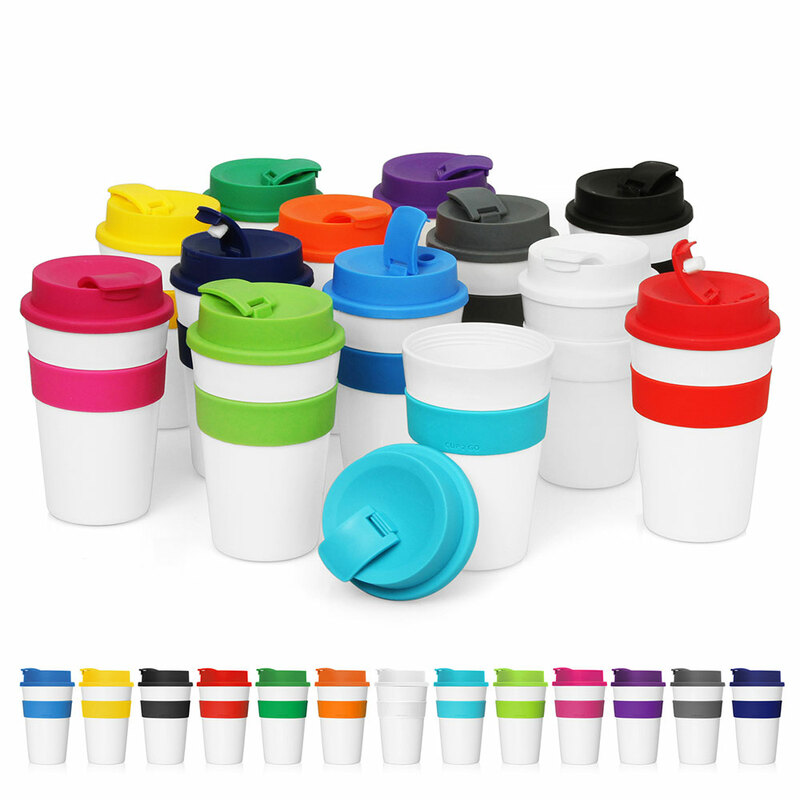 Available with 13 different lids and sleeve colours, you can mix n match these to best suit your logo!